HELPS FIGHT FATIGUE IMMUNE DEFENSES AND STRENGTHENING. This dietary supplement contributes to normal energy metabolism ..
- Can help reduce fatigue. - Contributes to the normal function of natural defenses. 2 capsules per day at the end of breakfast with a full glass of water. • a normal function of natural defenses. Box of 60 capsules (30 days). Avoid fruit juice industry, sodas and other sugary drinks. Protect your eyes from flying, trauma, light and radiation by wearing glasses adjusted. Increase your intake of nuts, oilseeds unroasted and unsalted, blue fish from cold seas (checking their origin! ), Seafood, pulses, cereals, fruits and vegetables in general. The basic rules of a good nutritional supplement can highlight some rules for the manufacture and delivery of a good nutritional supplement: • pharmaceutical quality is the first rule. The nutritional supplement is not a drug, but security must be addressed to pharmaceutical manufacturers that apply the m my strict rules as those applied to manufacture drugs, • formulas adapted as close as metabolisms • synergy nutrients to meet metabolism, • the right dose is key which requires a personal consultation conducted by qualified persons and whose knowledge is updated, • vitamin E must always be natural and omega 3 fatty acids in natural triglyceride form, • beta carotene to replace vitamin A, for security reasons, • no iron or copper to avoid pro-oxidative reactions, • updated formulas taking into account the epidemiological surveys. 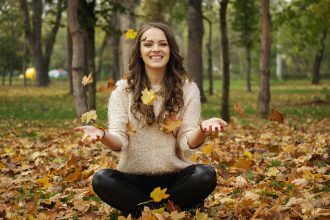 How to prevent fall fatigue?